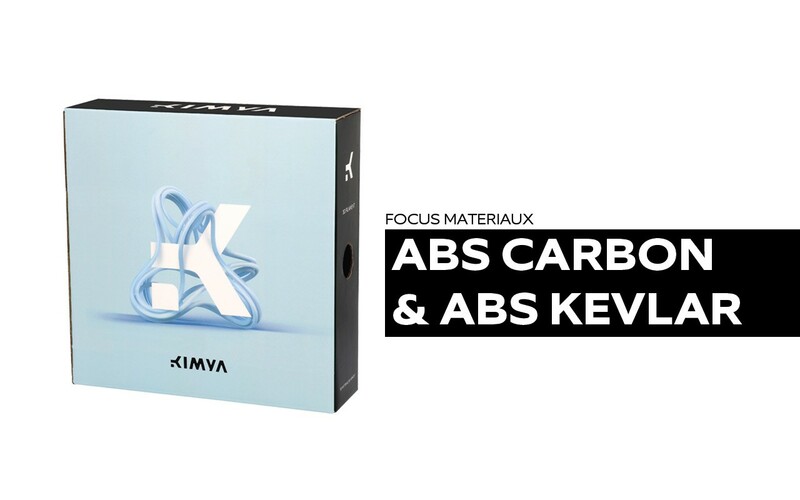 The filaments ABS Carbon and ABS Kevlar have been added to our range of materials. They are hi-tech products emanating from traditional ABS which we have modified to enhance the print properties, notably to reduce warping, a phenomenon that occurs due to the shrinking of the material during 3D printing, which causes the angles to lift and separate from the printing plate. We have therefore developed a range of hi-tech Armor 3D materials, this time based on ABS, in order to meet exacting industrial demands. But what are the properties of these new materials? Their advantages versus other materials? Before coming back to these 2 new filaments, it is important to understand the nature of ABS. 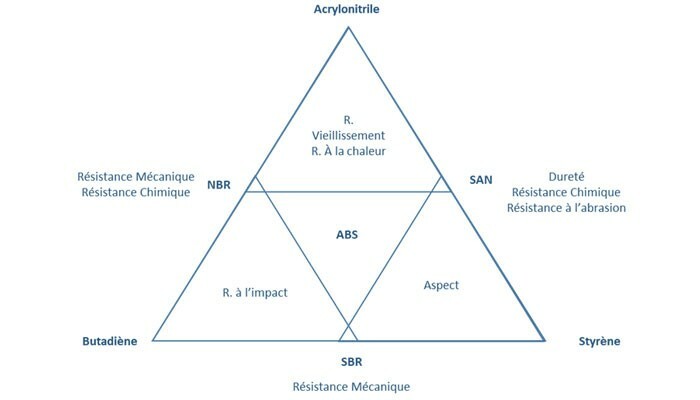 Petrochemical in origin, ABS (acrylonitrile butadiene styrene) is a plastic terpolymer created from the polymerisation of styrene and acrylonitrile in the presence of polybutadiene, developed to offer better mechanical resistance than PS. It inherits the characteristics of each comonomer, i.e. the gloss surface of styrene and the rubbery aspect of butadiene. It is mainly found in the outer casing of domestic appliances, furniture, seats, boat hulls and vehicle parts. It offers high impact resistance and an attractive finish. However, ABS is frequently associated with shrinkage and warping issues, with poor adherence to the plate. This being the case, the material has been reinforced with carbon and aramid fibres giving birth to the ABS Carbon and ABS Kevlar! 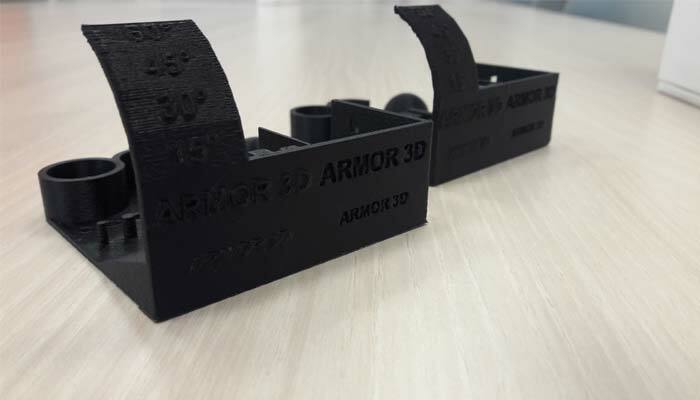 Armor 3D offers a specific formulation for the ABS Carbon: the addition of an enzymatic carbon fibre in order to improve the mechanical properties of ABS. It is a material that offers enhanced inter-layer adhesion with improved mechanical properties, and notably better traction resistance. The ABS Carbon does not delaminate and produces little warping compared to ABS. Parts that are 3D printed using this filament are lighter and less fragile than those printed with classic ABS. However, it is not very resistant to high temperatures – 100° C max. 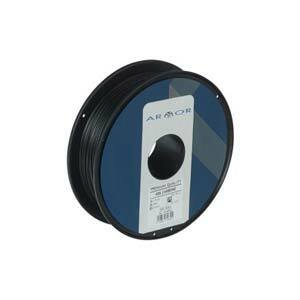 Regarding the 3D filament ABS Kevlar, the unique formulation incorporating an aramid fibre in the ABS considerably reduces all warping thanks to limited retraction. This formulation has enabled the development of a material that offers a very high level of precision. 3D printed parts are also lighter and offer enhanced impact resistance. However, it’s a material that is highly sensitive to UV and harsh exterior conditions and is therefore unsuitable for outdoor applications. It also tends to discolour, so we have developed a black-coloured formulation to ensure that the user is not put off by this aspect. Although our PS OWA filaments are intended more for applications such as prototyping, architecture or design, our hi-tech filaments are better suited to industrial use. They will mainly be used in the fields of aeronautics, automotive, medical, defence and maintenance & repair.